The film Black Panther was a milestone in the representation of African and Black communities everywhere, ultimately delivering the powerful message that black actors can succeed in the entertainment industry. Prior to this film’s release, there were barely any black films that truly resonated with black kids. The film Black Panther was a milestone in the representation of African and Black communities everywhere, ultimately delivering the powerful message that black actors and filmmakers can succeed in the entertainment industry. This film turned the tables of black representation and sparked a movement of giving back. In the past few weeks, organizations nationwide have been inspired to give back to inner-city youth programs for black children. This includes taking the kids to see the movie all expenses paid, donating to STEM programs for young women of color and other selfless acts. Several big names and organizations, including actress Octavia Spencer, Boys & Girls Club of America, Frederick Joseph (Founder of the Black Panther GoFundMe) and Disney have donated several dollars in light of the film’s release. Disney donated one million dollars worth of proceeds to the Boys & Girls Clubs of America for their STEM programs. GoFundMe campaigns were used to raise money to send groups of kids to see Black Panther in Harlem, Chicago, Los Angeles and Seattle. One of those Seattle-based organization is the Y-Scholars program at Garfield High School. The Y-Scholars program gives black youth academic opportunities and support throughout their time enrolled. They provide tutoring, study plans, community service opportunities and even set up fun and memorable field trips. Theresa Hardy and Chris Rossman, heads of the Garfield Y-Scholars program, took a group of students from their program to see Black Panther over mid-winter break. “I was so excited when we took the group out. There were about fifty of us and some of them had seen it already but they were still just as excited as those seeing it for the first time. Just being able to provide that opportunity was really nice.” said Rossman. The Y-Scholars program here at Garfield isn’t new to providing memorable opportunities to their students either. 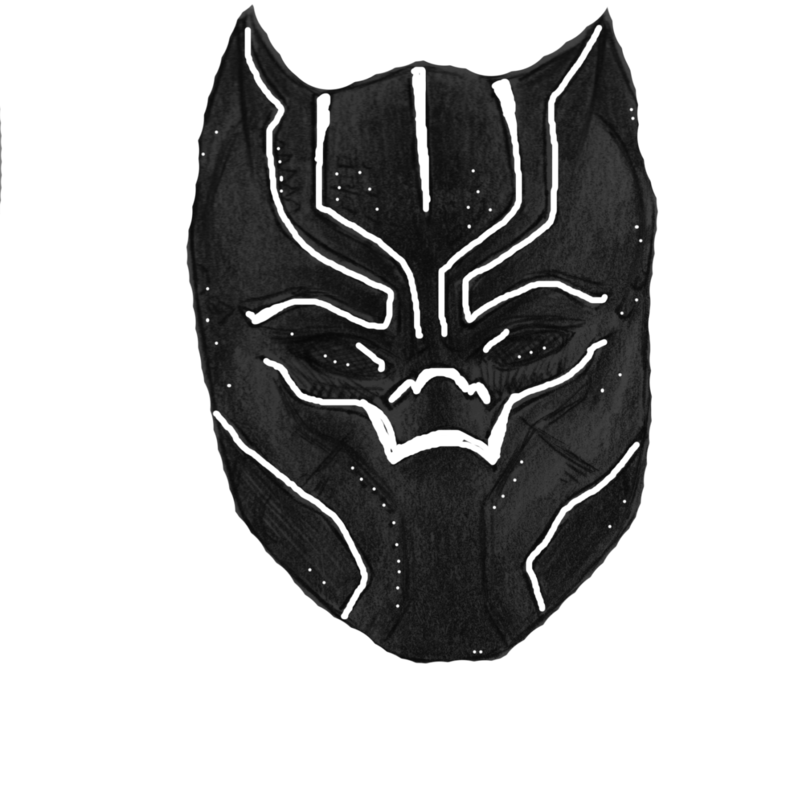 Black Panther was effective in exerting a message of youth empowerment when it comes to empowerment both academically and mentally. Letitia Wright in her role of Shuri, a young and ambitious engineer, inspired a young audience to be more enthusiastic about STEM programs. Chadwick Boseman in his role of T’Challa, otherwise known as Black Panther, gave fans a black action hero. Black Panther had a strong message of giving back and social responsibility prevalent throughout the film. Towards the end T’Challa traveled to Oakland, California and bought an entire city block for a STEM-based outreach facility for the neighborhood. Another scene featured T’Challa offering his country’s resources to an international panel. “ I think it focused more on countries coming together, but I do think it acknowldges the problems with that nowadays,” says Hardy. The film’s commentary on the relationship between more-developed and third world countries led to a refreshing message that didn’t sugarcoat or over simplifiy the complexity of the issue. “A lot of times you see established nations help these third world countries and things like that and at the same time think there are a lot of opportunities for us to build bridges, close gaps and help each other in different ways,” says Hardy. “The message was not only people giving to Black communities because that stuff is already being done, but what I haven’t seen is countries coming together to make sure that everyone has that support which is way more than the type of charity or social responsibility that we are used to,” says Hardy. These corporations are doing far more than helping kids and teens financially with free screenings and other opportunities, but also encouraging black youth to envision themselves as more that what media typically makes them out to be. Garfield High School senior, Myles Gillespie had the opportunity to attend a private screening of Black Panther through Amazon. “Seeing Black Panther on behalf of an organization like Amazon is really empowering because it makes me feel like the group that I am a part of actually has a chance to be impactful” said Gillespie.